This installation took place in a property near Selbourne, Hampshire. 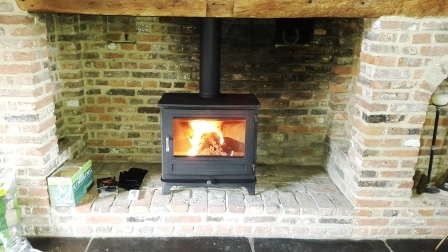 A great client was looking for a powerful stove to go into his inglenook. A stove that can heat the vaulted room. The solution to the brief was the Chesneys 12kw Salisbury stove.